For this year’s Culture Night Belfast, the Hairbus will be with Household from 3pm- 6pm in Sailortown. Come on board to get a temporary tattoo designed by Sailortown Crew kids, add some colour to your hair with coloured spray (also applied by the kids!) and have your portrait drawn. We also have live music performances from Junior Johnson and John McCormac. 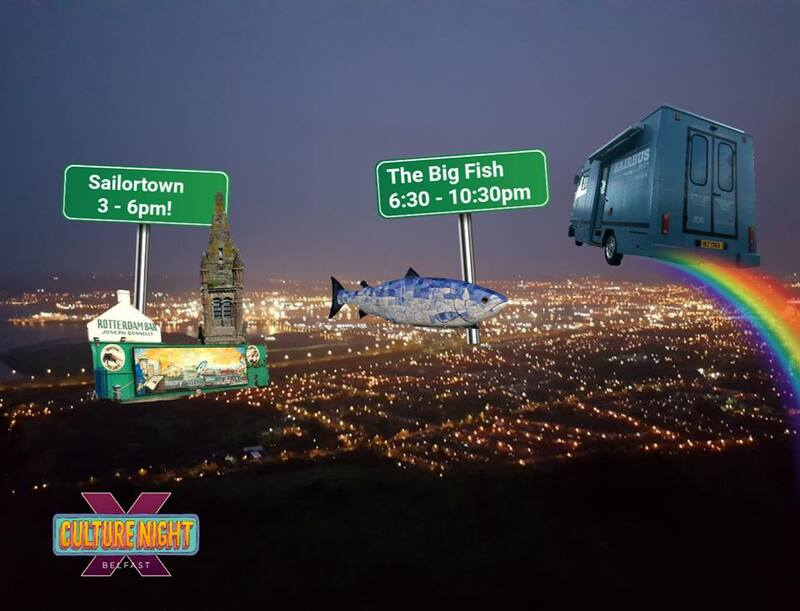 The Hairbus will then be moving across to The Big Fish from 6.30pm to host a whole host of live performances during the evening.